Discussion in 'Femmes' started by lanvinray, Jun 17, 2009. We had an eye (and two, and three, and four actually) on Gloria since we were introduced to her by her mother agency Mode Models. They were excited, we were impatient but we all decided to wait until they feel the right moment. It's always better when you've got this little thrill that you're making it right. And this morning is the morning (for some of us, tonight is the night). Coffee is flowing and it goes the same for stunning new faces. Mode strikes it high, again. Gloria is free-and-easy looking with a touch of melancholy and we love her ring. Not on her finger, it's a matter of flair. 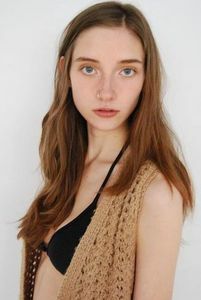 She's 18 and 178 (5'10 33-23.5-34.5), placed in Toronto with Sutherland and with our favorite agency in Asia (guess who, it's not that hard...). She's going to be full time and full force this fall. Watch out! She's like a mixture between Abbey Lee and Iekeliene! Shes going to make it HUGE!! Featured on COACD! Good news for Gloria! Are you only saying she's an Abbey mix, smileitsfashion, because of the nose ring? Love Gloria's look, can't wait to see what she does in the near future. I love all of the shots from the dentist's office... so cool. Perhaps that's what reminds me of her...either way, this girl is so MAJOR! I can feel a lilttle Abbey Lee too! both girls have nose piercing..hotness! Absolutely stunning in her polas. 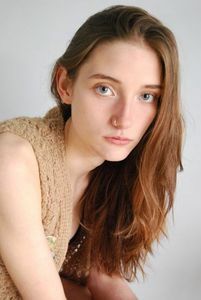 She has some sort of raw-"hippy" vibe to her.. Lovely Though, I have to say I prefer her the natural way like in her polas. Not too fond of the other shots where she comes off as rather plain. ^The other shots were also from about 2 years ago so I can't wait to see what some new tests would look like! I see Well, then I'm even more excited to see how she has developed! 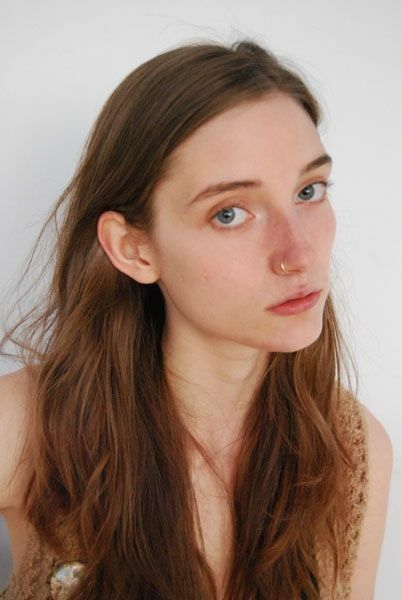 According to Mode Models Twitter, Gloria has signed with One Management! eh? why One mgmt? I was expecting maybe IMG or supreme. Hopefully One manages her pretty well, she has lots of potential! Tbh, it doesn't really suprise me she's with One. At least I didn't see her at Supreme. IMO she fits to One pretty well (compared to their other girls) so I just hope they will push her now! ^I think she fits One pretty good, too. I kind of thought she would sign with IMG or something but I think she''ll do well no matter what agency she is with. The other digitals from o2w are nice. they'll push her like mad, and they'll embrace who she is. INCREDIBLE!